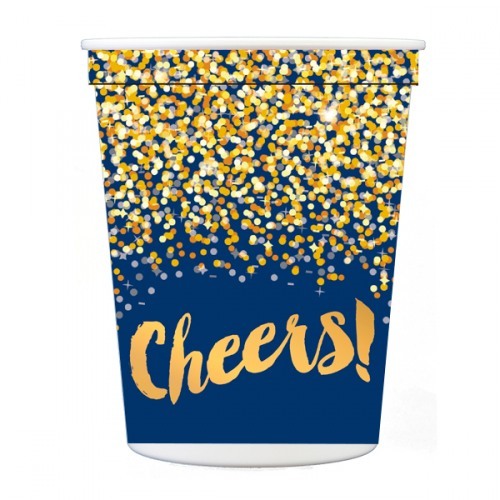 Raise your glass (or stadium cup) to toast any occasion with these stadium cups that reads "Cheers!" in gold against a navy confetti background. 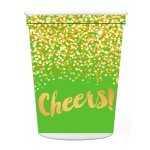 Use to serve all types of drinks and cocktails to celebrate with friends and family. 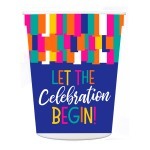 Mix and match colors to match your theme, and don't forget to add the stadium cups and drinks huggers for a memorable event.